Exciting news as World Music Network release another two albums in the Rough Guide to World Music series. They are the Rough Guide to Fado and the Rough Guide to Bluegrass. The Rough Guide series is like an audio-map to the different genres of world music - allowing you to explore areas you don't know, or to catch up on the current state of play in those you do. If you want an oversight with insight then the Rough Guide CDs are a good place to set off from. 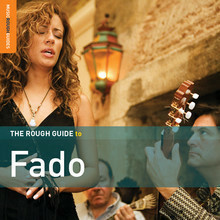 The Rough Guide to Fado features such artists as Mariza, Carminho, Ana Moura, Pedro Moutinho, Heider Moutinho and Marco Rodrigues amongst others. There is also a FREE bonus CD of fados by Cristina Branco (Murmurios). Fado is the national song-form of Portugal: beautiful singers, wistful songs and the inimitable sound of the guitarra portuguesa. Just imagine entering into steamy bars, where music is always on offer, the drama is frequently high-pitched and strong-voiced singers and skilled guitarists tell their tales of longing and woe. A handpicked selection of some of the finest Fado musicians, both old and new. 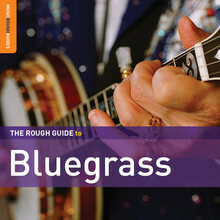 The Rough Guide to Bluegrass features contemporary artists like Ricky Scaggs, Kathy Mattea, the Gibson Brothers and Charlie Sizemore alongside many more of the best in contemporary American bluegrass. There is a also an 11-track FREE bonus CD included by Scott Holstein. Bluegrass is the sound of the Appalachian Mountains - music with an authentic soulful edge intimately connected to the valleys and communities there. Each song unfolds a story, typically told with bittersweet honesty and humour. If you like banjos, mandolins and violins, bouncing rhythm sections, and powerfully expressive voices, and you can't get enough of Timothy Oliphant in "Justice" then this might just be the album for you!